Summer is here… apparently. With a British summer comes a myriad of opportunities to capture that perfect photograph. Colours become more vivid, the sun takes longer to cross the sky and the streets and fields are full of exciting events and fresh subject matter. Take a step out of your comfort zone this season and read on for our top tips for experimenting this summer. Heading to the beach this weekend? Take your camera. Popping to the park for a picnic? Pack the camera. A country retreat, festival outing or long walk by the river… you’re guaranteed to be out and about more as the warmer weather continues so why not try taking your camera along and shooting some scenes you wouldn’t normally focus on. 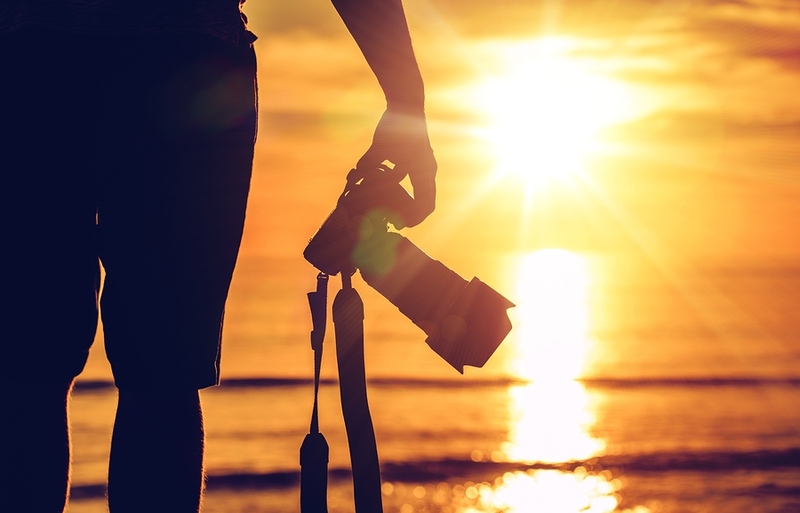 Longer days and stronger sunlight means the world is awash with picture perfect light in summer, however, don’t let that stop you from using your flashgun to help illuminate faces and features. If your target is backlit by a beautifully sun-filled scene, chances are their face is in shadow so be sure to consider methods to fill the foreground with light. A polarizer helps bring out the white clouds in an otherwise blue sky, cuts down on reflections in water and boosts saturation. It’s not often you want to turn blue skies into black ones but why not experiment with this mood-creating lens during the harsh-lit summer months. Use a slower shutter speed, wider aperture or higher ISO than normal to allow for the lens’ light absorption and really give your colours a boost. Bright light lends itself particularly well to high contrast photographs that look great in black and white. Try architectural subject matter in an urban landscape to get a different look from your city and for the best results shoot RAW and JPEG images simultaneously with your camera set to monochrome. This way you’ll see how the scene looks in black and white, but have plenty of data for making monochrome conversions later on. In summer the strong sunlight can mean a dramatic ratio between the brightest and darkest areas in your composition. Using your tripod, shoot three or more shots at different exposures and combine them later in Photoshop to create intense HDR photographs. Got a favourite spot? Take advantage of the warmer weather and set up your tripod for a whole day to capture your subject matter in different lights. Sunrise and sunset are particularly popular in summer but you may find your target bathed in light that hits at just the right angle at other times. Learning how to interpret where the sun will hit your subject and when will help you master your timing. 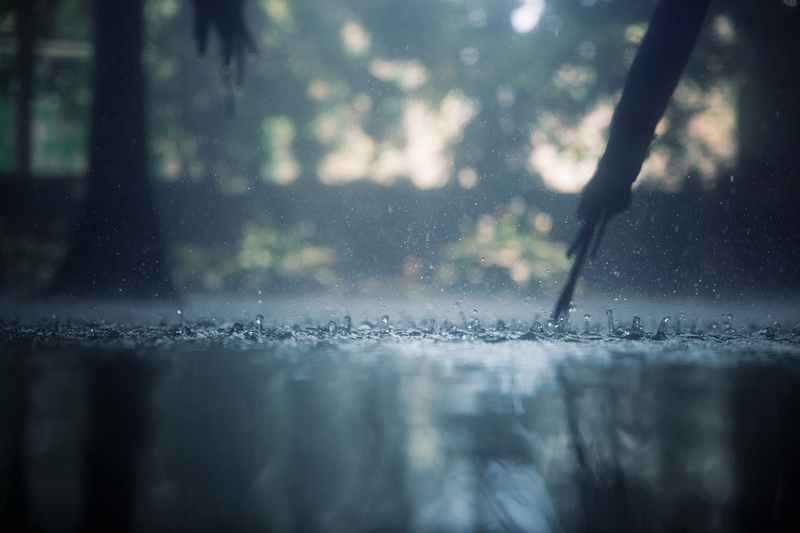 British summers aren’t always what we bargained for in terms of non-stop sunshine and humid heatwaves but why not take control of the opportunities when the inclement weather hits and turn them to your advantage? Try photographing areas normally teeming with people during a heavy downpour; capture the flowers and trees immediately after a storm or photograph the moody, deserted beach as the rain-laden clouds pour in.